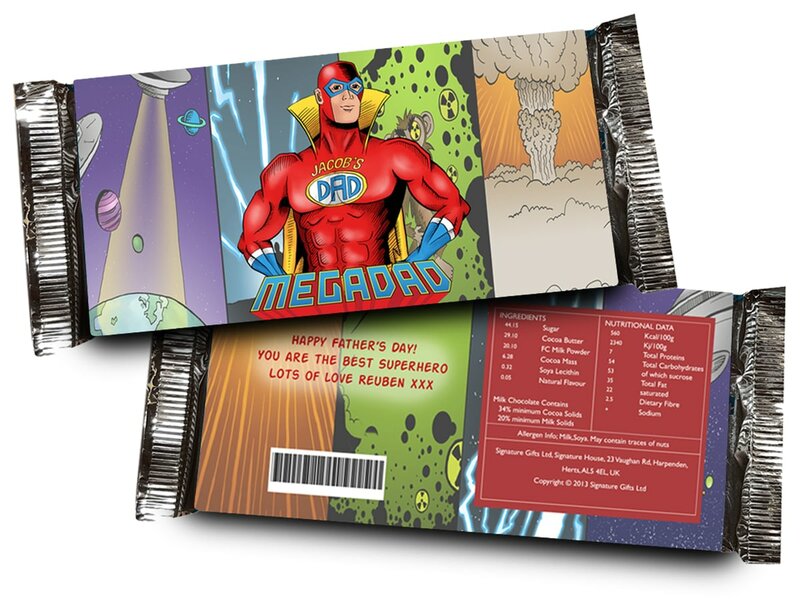 With their name incorporated into this Mega Dad choccy bar they'll know it's especially for them. Add your own message to the back to make the gift extra special. Dad will love seeing his name on this brightly coloured wrapper, he'll love the chocolate inside too.